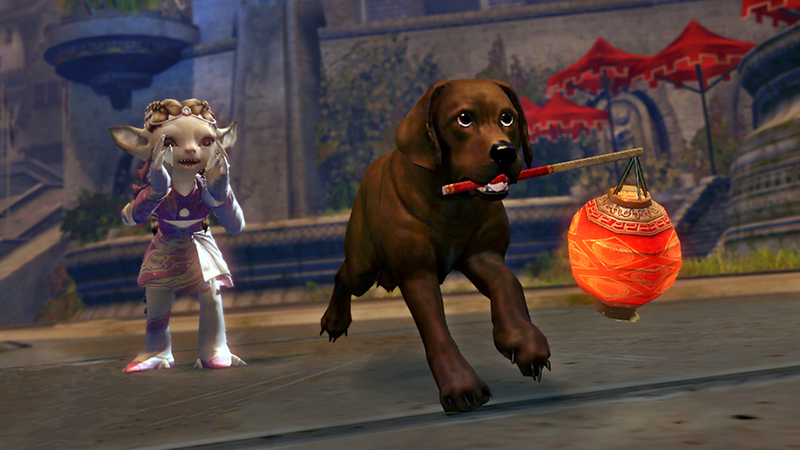 This adorable canine companion carries a traditional Lunar New Year lantern to brighten your travels. 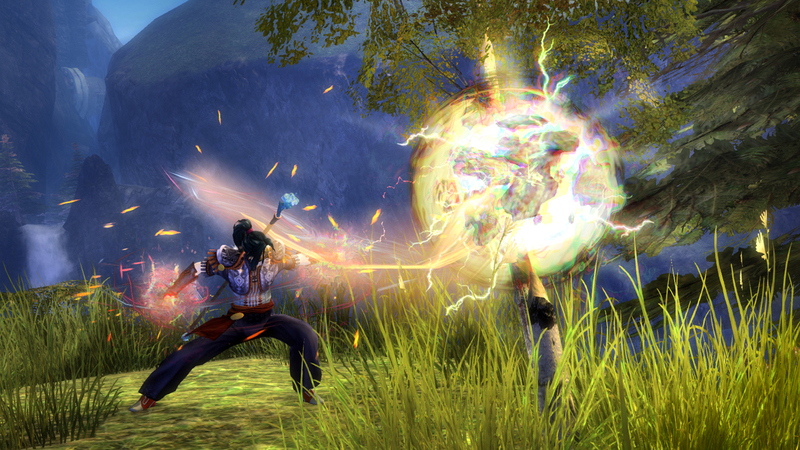 Starting today, the Phoenix Kite Glider, Lion Mask Skin, and Dragon Mask Skin are on sale for 30% off. The Ancestral Outfit will be on sale for 30% off from February 23 through February 26. The Unbound Magic Mining Beam, Unbound Magic Logging Pulse, and Unbound Magic Harvesting Blast are back in the Gem Store for a limited time. The Red Lantern is available for purchase as well. Next week we’ll be swapping out some gliders and outfits for a different seasonal selection. It’s also the last week to pick up the Zodiac Weapon Collection and Devoted Weapon Collection from your local Black Lion Weapons Specialist.